VICTORIA, BC – Phillips Brewing has announced the return of a now annual fresh hopped ale that celebrates the best of BC’s local hops harvest. Grim Reaper is available now in 650 ml bottles at select private liquor retailers in BC and at the Phillips retail store while supplies last. 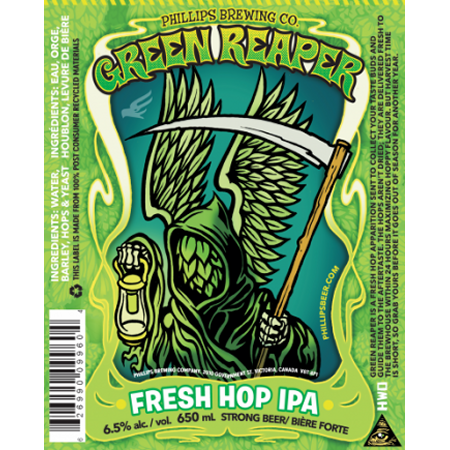 A tasting event featuring free samples of Grim Reaper on draught will take place at the brewery tomorrow (Wednesday October 16th) from 4:00 to 6:00 PM.